I'm asking this for a YouTuber who thinks that Lavender Brown survives, marries an Italian man and has 3 children who go to Beauxbatons. Thought to be situated somewhere in the Pyrenees, visitors speak of the breath-taking beauty of a chateau surrounded by formal gardens and lawns created out of the mountainous landscape by magic. Beauxbatons Academy has a preponderance of French students, though Spanish, Portuguese, Dutch, Luxembourgians and Belgians also attend in large numbers (both Beauxbatons and Durmstrang have a larger studentship than Hogwarts). 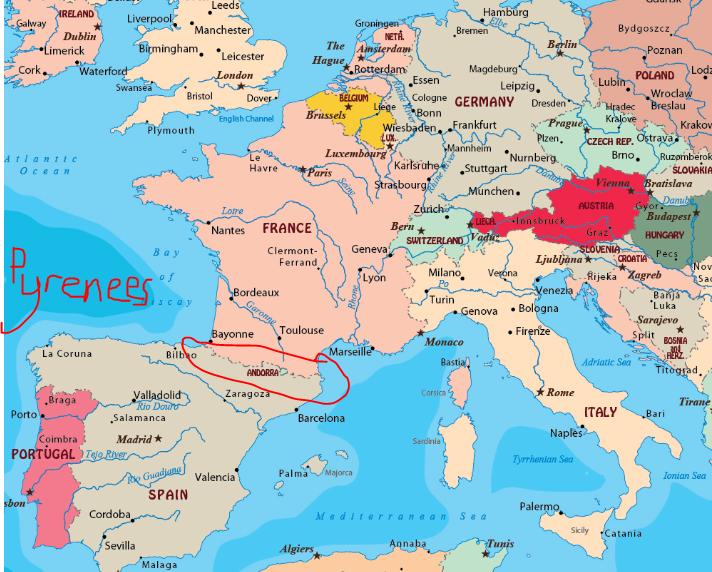 Here's a map of western Europe; if Dutch wizards make the trip to the Pyrenees, I think it's not a stretch to assume that Italians ones do, too. It's far closer than North Scandinavia, where Durmstrang, the next "big" school, is supposed to be. "... Father actually considered sending me to Durmstrang rather than Hogwarts, you know. He knows the Headmaster, you see. Well, you know his opinion of Dumbledore – the man’s such a Mudblood-lover – and Durmstrang doesn’t admit that sort of riff-raff. But Mother didn’t like the idea of me going to school so far away." Harry Potter and the Goblet of Fire, chapter 11, "Aboard the Hogwarts Express"
There are eleven long-established and prestigious wizarding schools worldwide, all of which are registered with the International Confederation of Wizards. Smaller and less well-regulated institutions have come and gone, are difficult to keep track of, and are rarely registered with the appropriate Ministry (in which case, I cannot vouch for the standard of education they might offer). Anyone wishing to know whether there is an approved magical school in their region should address an owl enquiry to the International Confederation of Wizards, Educational Office. There might be Italian ones among these; however, since they are not (on unclearly) approved, I think it's safe to say many parents would rather send their kids to the "big ones" or homeschool them. Thanks to Valorum's comment on the other answer for pushing me to this further research! 1 Located in: France (Beauxbatons), Northern Europe (Durmstrang), Japan (Mahoutokoro), Africa (Uagadou), Brazil (Castelbruxo), US (Ilvermorny), Russia (Koldovstoretz), Australia (unnamed), and possibly another in Canada (unnamed) and a last one also unnamed. Asia would be my guess, due to population figures. We don’t know how Italian wizards usually learn, but it’s possible. The JKR Pottermore writing on Beauxbatons states that while many of its students are French, there are also students attending from other countries close to France. Italy isn’t mentioned, nor is it ever mentioned what wizarding school Italian wizards go to (if any), but the other countries that have students attending Beauxbatons are near Italy, so it’s possible they do also go to Beauxbatons, and this just wasn’t mentioned in the Pottermore writing. It’s unlikely that Italian wizards typically go to a different wizarding school than Beauxbatons - the other reputable European wizarding schools, Durmstrang and Hogwarts, are further away. If Italian wizards don’t usually send their children to Beauxbatons, that likely means that they generally prefer homeschooling. 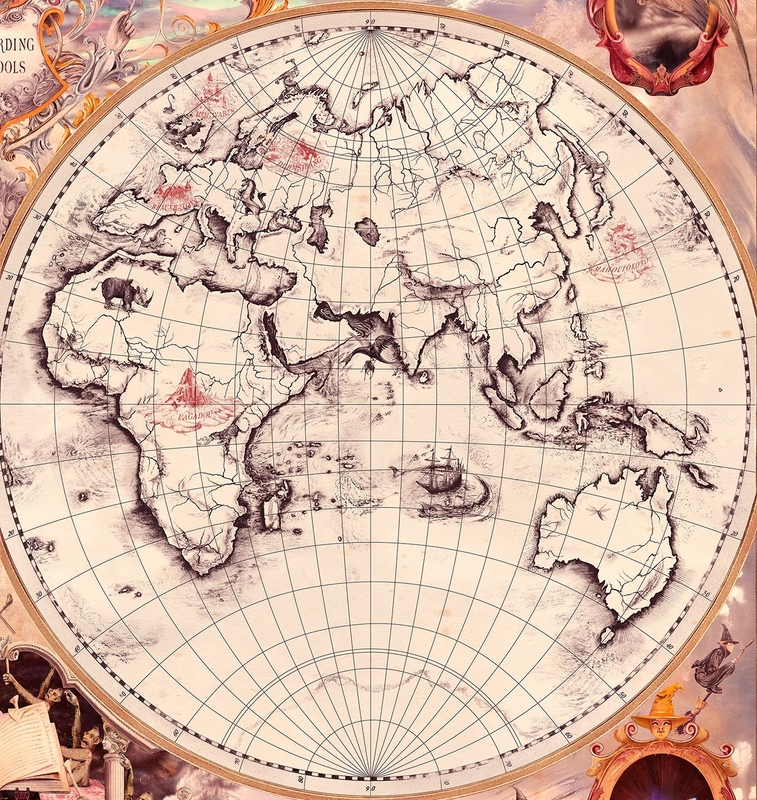 The wizards in most countries in the wizarding world typically choose to homeschool their children, which is why there are relatively few countries with their own magical school. It’s possible that Italy is one of the many countries where wizards prefer homeschooling. The number of countries that have their own magical school is minuscule compared to those that do not. This is because the wizarding populations of most countries choose the option of home schooling. Occasionally, too, the magical community in a given country is tiny or far-flung and correspondence courses have been found a more cost-effective means of educating the young. However, even if they typically choose homeschooling, Beauxbatons seems a likely option for wizards in Italy who prefer sending their children to school, since it’s the closest reputable magical school to Italy (and parents tend to favor closer schools). Most British wizards send their children to Hogwarts - parents in other countries would likely similarly favor a closer school. Even if they’re relatively rare, it seems likely that at least the occasional Italian wizard attends Beauxbatons, whether or not it’s what Italian wizards generally do. The only other thing that seems likely to be what Italian wizards generally do is homeschooling. I think Italy not being mentioned in canon is also because of the real past, the history. I mean, Italy is the center of Catholicism and everything related to the persecution Wizards and Witches suffered during the Middle Ages has started there, in Italy. It would have been much more difficult to create a magical school that would last for centuries in such an environment. There is also the possibility that among the religious people, there would be some that would refuse even the idea of becoming a witch or a wizard and the Ministry of Magic would be forced to wipe their memories. i mean, there are always fanatic people amongst the religious. In the christian orphanage where I grew up, one of the caretakers burned one day tens of our school manuals because they had in them pictures of fruits and vegetables with hands, eyes and legs - apparently, that was the work of the Devil. What happened to Lavender Brown? Do all the children in a wizard family have to go to the same wizarding school? Where are the other schools of magic beyond the seven already named? What holidays do wizards celebrate? Can wizards use magic to find information in a library? Why did the Beauxbatons students expect to find Madame Maxime at the Quidditch World Cup? Are all dead wizards/witches buried? How many children in Harry's year die? Could Muggles survive without wizards? Why did all the wizards that Harry saw Vanish? Do wizards know of great literature by Muggles? Who was the first Wizard or Witch in the Harry Potter Universe?